"Would you tell me, please," said Alice, a little timidly, "why are you painting those roses?" "Five and Seven said nothing, but looked at Two. Two began in a low voice, Why the fact is, you see, Miss, this here ought to have been a red rose tree, and we put a white one in by mistake..."
The past week I've been working on decorations for a birthday party. I'm trying to make most of the decorations out of newspaper. This is one of the ideas I came up with. I feel like it is missing something, perhaps some newspaper leaves. Suggestions welcomed. 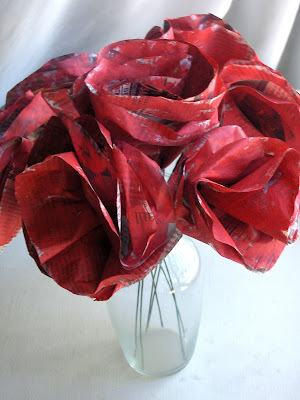 Easy directions to make the newspaper roses below. 1. 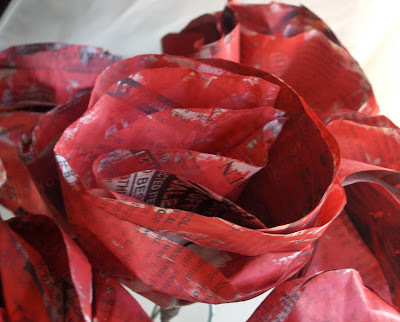 I first made the paper roses the same way I make tissue flowers. You can find the directions, here. 2. Tape the newspaper rose to the floral wire. Wrap the bottom of the rose with the floral tape to cover up the tape and any seams. 3. Paint roses with acrylic paint. I chose to leave some of the newspaper showing. 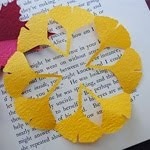 If you want all the newspaper painted, paint the newspaper before you make the flower. Glitter. They need a little sparkle. Just on the edges. Fantastic idea. Love your creativity. Neat idea! Creating and recyling, all in one step! wow, i just learned something new today. 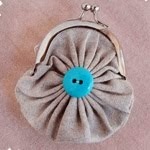 I had never heard of zakka until i checked out your blog. It totally sums up my philosophy and I will be learning more about it. Thanks for stopping by and commenting. Those are amazing! I love how aged they looked. I *love* these! I think they are adorable. :) You said you think there's something missing - why don't you try putting something in the bottom of the vases? Maybe crumpled up newspapers? Or try running the newspapers through a paper shredder and putting the shreds in the vase. I think it's great as-is, but just a thought! Thanks for sharing. This is darling. What is that stuff people add to flowers? Maybe some fake baby's breath or pressed green leaves? I know when D brings me roses there are always some long, soft greenery in the mix. Great idea though. If I ever get around to my Alice costume I'll have to come back to this. My first thought, like woolanthropy, was superfine glitter. If you sprinkle it on while the acrylic is wet, it should stay. Another easy option might be "Glimmermist" spray which is sold in scrapbook stores - give it a hint of iridescence. I'm sure you can guess how much I absolutely love these...being such a newspaper fan myself! I love them just as they are, but a few paper leaves would be a nice touch. 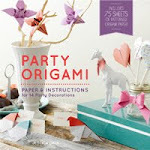 Today (January 27) I posted an entry on my blog with a link to this tutorial. Would yu let me know if that's OK? i would add something to the vase, i'm a fan of coffee beans myself, but the shredded paper sounds great too. i would also distress the edges of the roses with a darker red or even a little dark brown. either way they are awesome!!! These are amazing! I'm going to make a bouquet tonight! i'm having trouble making these look like flowers how yours do, instead of just rolls of newspaper. when i try to make them poofier and more flower like, the just unfolds back into it's rolled up, un-pretty form. help? i thought they'd look really pretty in my bedroom, my desk looks kinda bare. Sorry you're having trouble making these. When you start to roll the newspaper separate the layers at the same time, to keep them separated. Hope this helps. Wish I could just show you myself. I'm making these for my graduation party centerpieces! I'm going to leave some of the roses plain and paint some yellow since my school colors are black and gold. This is the best centerpiece idea I found that fits me. I'm going to college for journalism and my invites had a newsprint background so it's perfect! I'm also making a woven newspaper basket for my cards to pull it all together! I am trying to adhere newspaper on canvas and then paint over it with acrylics, but I want some of the newspaper to show, as it does with your roses. I have had no luck with this. Every stroke covers the newspaper entirely. Should I use watercolors or another type of paint? Thank you!